EYangon has turned into one of the most exciting city in South East Asia in short period of time. After visiting many attractions in Yangon during the daytime, there are many other things to do at night as well. Yangon nightlife was not very active in the past but now many things has changed since new government was elected. Are you looking for fun, interesting, exciting, or chilling entertainment? You name it! Yangon has it all. Do you wish to have a delightful evening? 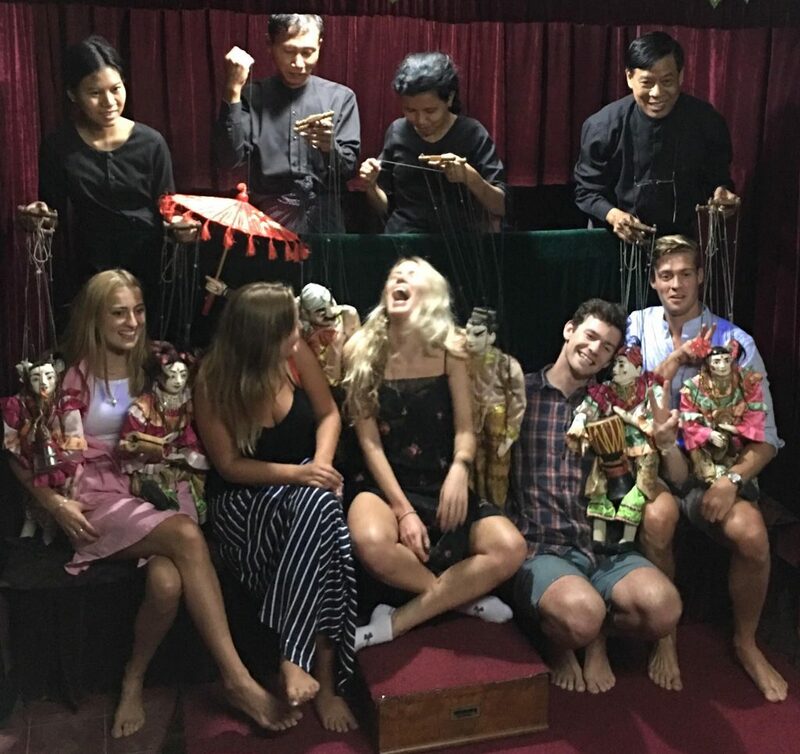 Check out Htwe Oo Myanmar Traditional Puppet Theatre to witness an amazing and insightful Myanmar Traditional puppet show. Mr. Htwe’s family is one of the few families in Myanmar carrying forward the tradition of Myanmar Puppet shows. They are massively talented and skillful puppet masters. You will be able to learn about the traditional and cultural heritage of string puppetry. You will even get a chance to play with the puppets. You can watch this authentic and amazing puppet show in the family living room of Mr. Htwe. You need to make a booking before you go and the minimum people to watch the show is 2 people. The fee is 5000 Kyats for kids and 10,000 Kyats for adults. Many people prefer to start the night-out at quiet and chilling bars and later move to more active DJ’s Bars. Are you looking for the place where you can find both types of the bars in one place? Choose Inya Lake Hotel Compound to spend the night. You will find chilling Inya Bar and exciting DJ’s Bar in the hotel compound. These bars are considered as upmarket bars. Entrance fee is only 10,000 Kyats and it includes one drink. Myanmar Plaza is not just a place for shopping because you can find the coolest nightclubs, KTVs, and bars. The clubs and bars here are targeting both expats and wealthy locals. You will find Fuse, Eclipse and Harry’s and these are the trendiest clubs in Yangon. you will find many rich and beautiful girls in these bars and clubs. Since these are upper class clubs and bars, you will rarely find working girls at these places. You will be able to find a taxi easily around Myanmar Plaza. (You will have to read more about Bars and clubs in Yangon below). If you prefer to spend your night in different bars and clubs, choose Yangon International Hotel Compound. It hosts many famous clubs including Pioneer Club, Muse, Mbox Karaoke and many other bars. The clubs and bars in Yangon International Compound are not expansive and you can get cheap drinks as well. Sport Bar which is one of the most popular bars is also located in this compound. Address – Ahlone Road, Dagon Township, Yangon. Karaweik Palace is one of the most popular attractions in Yangon and it is famous for its design and architecture. At night, you can enjoy buffet meal while watching a cultural show of traditional dance and music. They provide traditional Myanmar food and very delicious as well. The professional performers will give you authentic and incredible cultural show. You can take photos with them at the end of the show. The dinner and show cost around 33,000 and 37,000 Kyats. Let’s me bring you to more specific topics……..
Yangon Nightlife used to be boring and there are only a couple of night clubs to go. But now, Yangon’s nightlife is full of excitement and there is abundance of clubs spread across the city. Most of the perfect lively nightspots for the all night ragers are in Yangon. The party winds down in most of the clubs when the clock strikes 3 AM. If you are looking for the clubs with kickass cocktails, vibrant dance-floors, unstoppable DJs and beautiful girls, Yangon has plenty. Here are the best of the best clubs in Yangon for the partygoers. Fuse is located on the rooftop of Myanmar Plaza and it is the trendiest nightclub in the city. The luxurious Sedona hotel is located next to Myanmar Plaza, and many other nice hotels are in the neighborhood. FUSE is on the 4th floor of Myanmar Plaza and it opens until 3:00 PM. The entrance fee for walk in guests is 20,000 MMK and 30,000 MMK for VIP entrance. If you book a table and a bottle, the entrance fee is only 10,000 MMK. Music is the most important thing for an amazing clubbing experience, and FUSE has the best DJs and music. FUSE invite guest DJs to entertain the crowd every two weeks. Some of the world-famous DJs are often invited by FUSE. 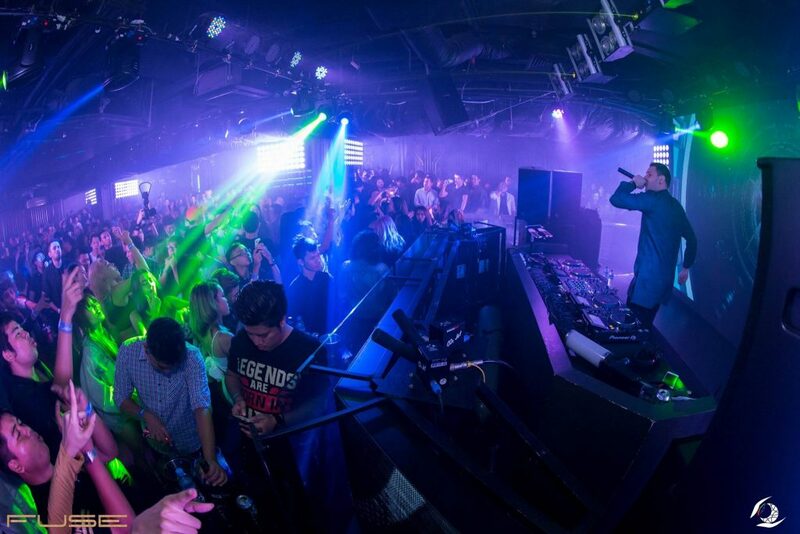 FUSE is one of the top high-end clubs in Yangon that attract rich and cosmopolitan crowd. The drinks are quite expansive in FUSE compared to other ordinary clubs. There are bottle packages that you can buy, and they are suitable for the groups. Regular packages cost 85,000 MMK, VIP packages cost 180,000 and 300,000 MMK and VVIP packages cost from 500,000 – 1,200,000MMK. It opens on Wednesday, Thursday, Friday, Saturday and Sunday from 10PM to 3AM. It is best to book a table because FUSE is usually crowded and difficult to get a table without bookings. Muse is located in the Yangon International Hotel compound. It is not a busy club but it has good vibe. When they invite guest DJs, the club is usually full but not too crowded on the normal night. If you prefer less busy and less crowded club, MUSE is the right place for you. Muse is popular among foreigners, expats, and guys who are looking for nightlife girls. The waiters not only serve you the drinks. They will ask you directly if you want a girl or not. Many beautiful nightlife girls hangout at Muse but some of the girls are not nightlife girls. You can either ask the waiter or wait for a nightlife girl to approach you. The price of the drinks is reasonable and the entrance fee is only 10,000 MMK. MUSE nightclub Yangon: No.330 Alone Road, Yangon International Hotel compound – 0973090680. Club 5 is one of the high-end clubs in Yangon. it is located inside the 5-star Parkroyal Hotel which is close to downtown area. If you are staying in downtown, Club 5 is the best choice for you. Since it belongs to the luxury hotel, the drinks are quite expansive but it has the most attractive interior designs. If you are not the hotel guest, you need to buy the drink to enter the club. Club 5 has awesome cocktail but the price is as high as the quality of the cocktail. Since this is a luxurious club, only rich and upper-class people come here. You will often see the famous celebrities in this club. The club 5 also has the band to entertain the guests with good music. Some nightlife girls are available in the Club 5 and their prices are quite high. Club 5 is a big club and there are plenty of room to dance. However, if you are going on Friday night or Saturday night, it is better to make a booking. There are two VIP areas with sofas and you definitely need to make a reservation for the spot. Pioneer is one of the oldest and most famous nightclub in Yangon among locals and foreigners. 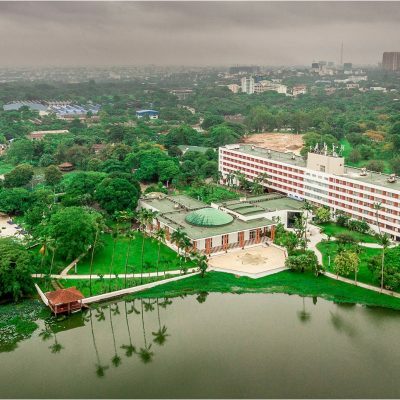 It is located in the Yangon International Hotel Compound which is very close to downtown. The music is not so special because they just open the tracks. The drinks are very cheap in this club. Most of the middle class locals come to Pioneer. The entrance fee is 10,000 MMK and you will get one free beer. There is one big dance floor and it is surrounded by the tables. There are some VIP area and a mezzanine in the club. Pioneer is a very entertaining place, and it is considered as one of the best nightlife locations in Yangon. Many freelance nightlife girls can be found in Pioneer but you need to wait for their approach. The price is totally negotiable and if you are a sweet talker, you might even get them for free. BME is located near Inya lake and there are many famous restaurants in that area. So, you can have dinner near by and head to the club to enjoy the night. BME is known as one of the most expensive club in Yangon. BME has got a nice dance floor, high tables and sofas in VIP areas. Upper-class rich people and expats prefers to go to BME, and you can meet Hi-So girls in BME. There are some nightlife girls but not as many compared to other clubs. The entrance fee is 15,000 MMK and it includes one free beer. You don’t need to pay for the entrance fee if you buy a bottle but the bottles are quite expansive. But, if you are going there in a group, buying a bottle is better. The price of the bottles starts from 65,000 MMK to 80,000 MMK. DJ’s Bar is located in the Inya Lake Hotel compound and it is also known as cele bar. It is a very popular nightclub and crowded most of the time. The price of the drinks are quite high but the entrance fee is only 10,000 MMK. This club is famous because many celebrities go here and hang out with friends. DJ’s bar is one of the most active bars and the best place to hang out with friends. The dance floor is medium size and usually very crowded. There is a small beer garden at the entrance. Many foreigners choose to come to DJ’s bar because it is quite popular among foreigners. Many nightlife girls are available at this club and they will approach you without hesitation. Brave Bar is another old and famous club in Yangon. It is more popular among the locals but many expats also prefer to go there to party. It is an expansive and exclusive club in town. The size of this club is quite small, so it is better to go there after booking a table. It is known as the club that open till morning because it opens till 5:00AM while other close around 3-4AM. It is one of the most entertaining club and Brave Bar will give you the best nightlife experiences. Many nightlife girls are available and you can ask the waiter or wait for the girls to approach you. The entrance fee is around 10,000 MMK but it is better to buy a bottle if you are going there in a group. The Vibe is one of the most popular hangout spot in Yangon. Many upper-class rich locals and expats go there to party all night. The drinks are reasonably priced. Entrance fee is usually free but if there is special event, you need to pay the entrance fee. It opens every day; it opens till 1AM on weekdays and opens till 3AM on weekends. Not many nightlife girls are available in the Vibe but you can meet many beautiful young local girls in the Vibe. When going out at night and find a nice bar can to have a good time can be tricky. Before choosing the bar, you need to think about what you are looking for. Some might want good food & drinks while others are looking for the place to meet women. Different bars have different entertainment and environment. In Yangon, there are many nice bars with the best night-life environment. Here is our up to date list of best bars in Yangon. Going to a bar with live music can be very entertaining and fun. Sipping on your favorite drink while listening to the live music will be a lot more exciting. Most of the bars in Yangon with live music usually perform Burmese songs but they often sing in English. If you prefer DJ music, there are many great bars with DJs music as well. We’ve chosen the best of the best bars for you to have a great nightlife experience in Yangon. 7th joint bar can give you the perfect night in Yangon with non-stop live music and DJ. They have professional live music band and they usually perform western pop/rock and reggae music. The cocktail of this bar is amazing and the food is great as well. The staffs are very attentive and friendly. The bar does not look like a fancy bar but the vibe is so great, you will love it. This is a very popular bar among locals and travelers, therefore it is usually packed especially on Friday and Saturday. The prices of food and wine are quite high but they offer reasonable prices for drinks. Pirate Bar is one of the most unique bars in Yangon with awesome decorations. Pirate Bar have a great live music band and DJ. This bar is well-known for having fast service and good quality food. The bar has indoor and outdoor sections and has a wonderful atmosphere. Pirate bar is one of the best places to hang out for a great nightlife. The price of the food and drinks are reasonable. Address : 47th Street, G-9 Asia Business Center. Mr. Guiter is one of the most famous live houses in Yangon and a great outdoor-place for a fun night. You can enjoy American Music with live band and you can request for songs as well. They offer western food and great cocktails. This bar is the best for group outing and they also have private booths. Mr Guiter is an awesome place for a great night out and partying. If you are a wine fan and great music, you should choose Maru Wine bar to hang out. This is a very high end wine bar with a lot of expansive wines. Unlike other bars, Maru has calm and relaxing music for a classy night out. You can have a pleasant wine and amazing cocktails. Well designed venue with beautiful interior will make you forget that you are actually in Yangon. If your intention tonight is not just about drinking and partying, go to the places that have many beautiful women. There are many bars and pubs where you get to interact with women and find a date in Yangon. it is quite difficult to distinguish between nightlife girls and other girls. All you need to do is grab a drink and be curious. Cele bar is a very popular bar where many Burmese celebrities hang out. Cele bar has a dance floor but it is quite small and usually crowded. However, the bar is quite spacious and comfortable. If you are getting tired of the crowd and noise, you can get out into a small beer garden. You will find many beautiful girls in Cele bar and some of them might be the very famous celebrities. Nightlife girls are also available at Cele Bar and all you need to do is wait for their approach. Inya Bar is also another popular bar with a dance floor and nightlife girls. Inya bar is usually not very crowded but the dance floor is usually crowded because it is small. At least 50% of the girls are nightlife girls and Inya bar is a place for foreigners to hang out. Many guys come to Inya bar to find a girl and most of them succeeded. The entrance fee is only 10.000 MMK and the price of the drinks are quite reasonable. Sport Bar is usually packed with mid to upper class youths. Many beautiful girls also hang out that his Bar. You can either find a normal girl who prefer dating a westerner or find a nightlife girl. Sport Bar is one of the very active bar with great music and fun atmosphere. Address: No 37. Kabar Pagoda Road, Inya Lake Hotel Compound. Nightlife girls are mostly available around China Town. 19th street, 50th street bars are quite famous. Many local bars in this area have girls singing on the stage or having a catwalk on the stage. The girls will walk down from the stage and walk around the tables. Bars and Beer stations in China Town are very popular among locals, expats and travelers. Walk around China town and find the most exciting and fun nightlife experience in Yangon. Yangon is the city that owns a great view, especially the shining golden Shwe Dagon Pagoda. Most of the rooftop bars have the view of Shwe Dagon Pagoda. Most of the finest bars in town are also the rooftop bars. Yangon does not have mesmerizing skyline but it has its own uniqueness to enjoy. Here are our top rooftop bars with amazing view. Le Cellier is located on the 14th floor of Novotel Hotel Yangon. This is a very luxurious and high-end bar that can make your night very special. This is a great bar for couple for a romantic night out. On the terrace, you will feel nice cool breeze with a beautiful view of the downtown Yangon. You can see glowing Shwe Dagon Pagoda from the terrace as well. The environment is very quiet and peaceful. We recommend you to choose Le Cellier to have a wonderful night with a great view of Yangon. Atlas is one of the best rooftop bars in Yangon and it has a closer view of Shwe Dagon Pagoda. The decorations and arrangements in this bar are breathtakingly beautiful and it is a great place to chill and relax. Atlas has a Jazz band and DJ. Atlas is a place you must go to enjoy good food and drinks while enjoying the music and amazing view. They offer wide range of cocktails and amazing menu. It is really worth the visit and you will definitely want to come back again and again. Yangon Yangon is located on the top of Sakura Tower and you can see both Sule Pagoda and ShweDagon Pagoda. Since it is located in the heart of the city, you can see the whole city in 360 degrees. This is a very luxurious bar, so it is quite pricy. The cocktails are very good and the food are delicious. This is the highest rooftop bar in the center of downtown Yangon so you can enjoy the spectacular views. Unlike other bars, this bar is for the people who prefer silence and solace. It also has an amazing view of the entire city and it is very close to Shwedagon Pagoda. It is quite small and usually not very crowded. You can enjoy the sunset from this bar because there are not a lot of high-rises to block the view. Are you looking for a place with good food, nice drink, awesome atmosphere and a spectacular view of the city? 369 Dine & Bar has it all. They also have live band and DJ to entertain you. Once you have visited there, you will feel the satisfaction every time you visit there. Address: 369 Laydaunkan Road, Level 8. Thingangyun Township. It is not difficult to find attractive nightlife girls in Yangon. All you need to do is just put lots of cash in your pocket and head to the club. Burmese nightlife girls will approach you in no time and you just need to pick up the one you like. It is better if you go there alone because it is easier for them to approach. It will be quite difficult to choose one because most of them are attractive, gorgeous and young. There are many popular places where you can find many beautiful nightlife girls. Zero Zone Rooftop Beer-Garden, Pioneer Club, Music Club in Park Royal Hotel, and DJ-Bar Yangon are the most famous places. In Zero Zone Rock Restaurant, you will find awesome performances by nightlife girls. Zero Zone is located in the heart of Chinatown. Nightlife-girls are available in most of the clubs and bars but it is quite difficult to distinguish between other girls. So, it is better to wait someone to approach you if you don’t want a slap on your face. The price of the nightlife girls depends on the place you hung out. If you are going to the expansive upper class bars and clubs, you will have to pay high price. 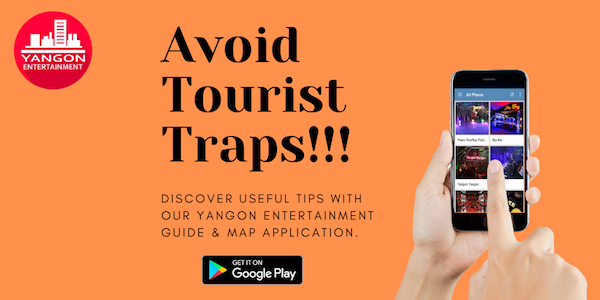 I would like to suggest you to explore this blog, you will find interesting articles about Yangon girls and how to approach them.